Police have arrested a man suspected to be a part of a gang that used to steal gold ornaments and sell it at jewellery outlets in the city. 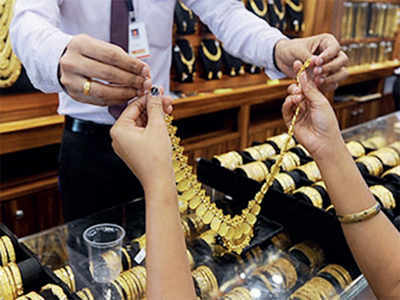 Indirananagar police on Thursday received a tip-off that two men carrying stolen gold were trying to get it sold off at a gold trading centre located adjacent to the Indiranagar Metro station. A team of policemen were sent to the spot and they managed to apprehend one of the men, while the other managed to flee from the spot. Police have launched a manhunt to locate the absconder, who according to them could be connected with multiple chain snatchers and gold thieves operating in the city. The accused Dileep Kumar (37), along with a person named Dharma visited the Attica jewelry shop on CMH Road around 5:30 pm on Thursday. Police said both have criminal records. They claimed Dharma used to get stolen gold and it was Dileep’s responsibility to get it disposed of. Dileep, a resident of Narayanpura, has confessed the gold ornaments were stolen in the city.